It’s finally warm and beautiful outside! The sun is shining, the flowers are blooming, and you know what that means: eating outside! 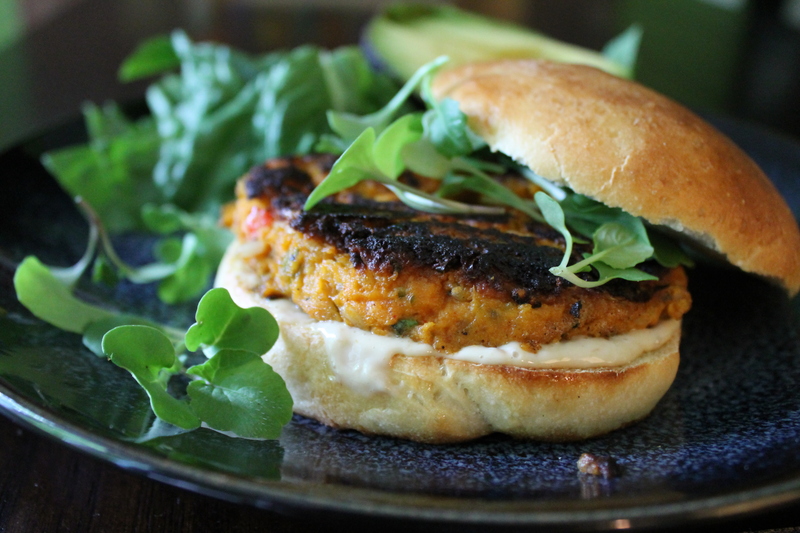 This time of year I am always on the lookout for different ways to make a veggie burger. This sweet potato version is a doozy: sweet and spicy and starchy all in one! Add in some creamy avocados, fresh microgreens (which I grew! 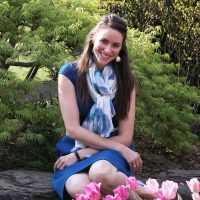 in my own garden! ), and garlic aioli, and this burger will be just delicious! 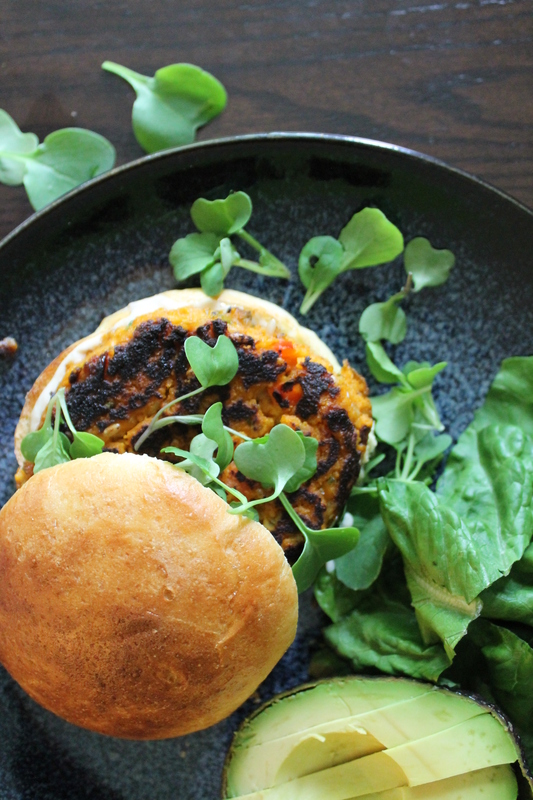 Veggie patties do take a little more effort than your average beef burger, and these really shouldn’t go on the grill because of how soft the mixture is. But I think they are totally worth it! 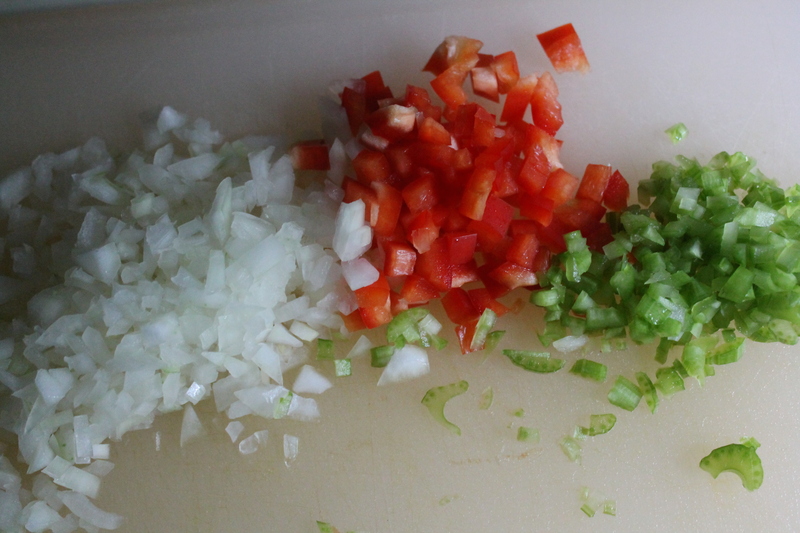 Start by dicing onions, bell pepper, and celery. Sauté the veggies 2–3 minutes in olive oil, until barely softened. Meanwhile, bake a sweet potato! Everyone has their own favorite way to do this, but I just wrapped mine in foil and stuck it in a 400° oven for 15 minutes, then I slit the top to let the steam out and let the potato cool! We also need to cook some rice (handy dandy microwave rice cooker!) and let it cool. Once the potato is cool enough to handle, scrape the flesh out of the skin and mash it. There should be about 1½ cups of sweet potato. Stir in the rice, diced veggies, diced chipotle pepper and about 1 tsp. adobo sauce, an egg, and a whole ton of spices. Yum. Smoky. Form the mixture into patties. Yes, it is sticky and a little wet. This is why we are going to give it a good char on the stovetop! 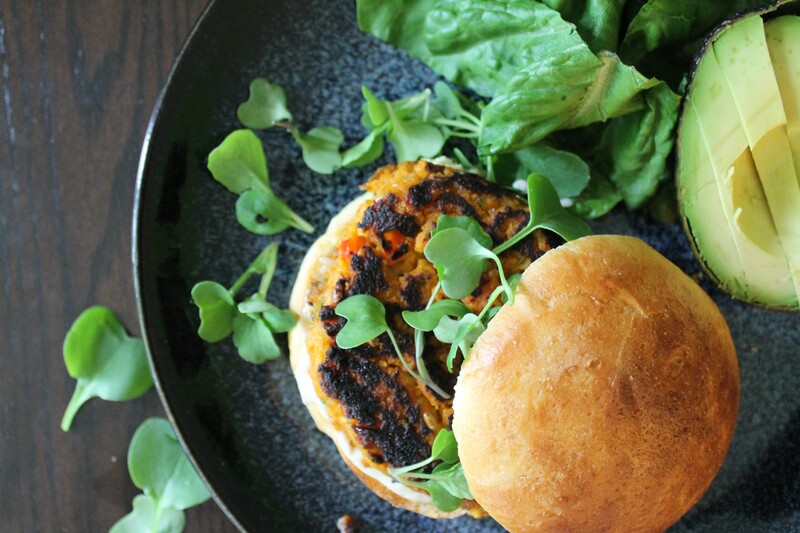 The blackening not only adds to the flavor, but will help the sweet potato mixture to dry out a little and hold its shape inside the buns. You can chill the patties if you like, which will help them retain their shape when you scoop them out onto the pan, but if you are in a hurry, you can go ahead and cook them—just re-shape them as soon as you drop them onto the hot pan! 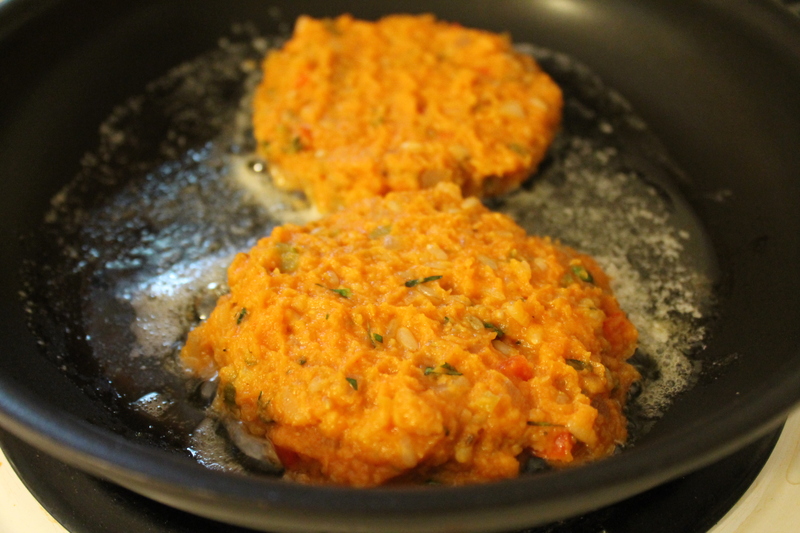 Cook the sweet potato patties about 5 minutes per side over medium-high heat (not hot enough to make the oil smoke! ), until each side is blackened. Serve with some delicious burger buns, sliced avocado, lots of garlic aioli (my favorite is Stonewall Kitchen), and your favorite greens. Heat the oven to 400°. 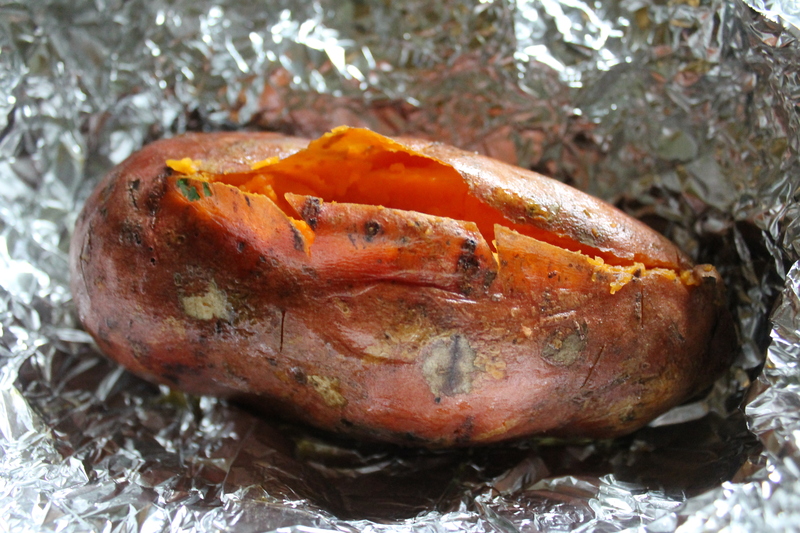 Pierce the sweet potato all over with a fork, then wrap in foil and bake for 15–20 minutes, or until completely tender. Open the foil and slice the potato open. Set aside to cool. Meanwhile, warm a large skillet over medium-low heat. Add 1 tbsp. olive oil, along with the diced bell pepper, celery, and onion. Sauté, stirring occasionally, until soft, about 5 minutes. Set aside to cool. When the potato is cool enough to handle, scoop out the flesh and mash thoroughly. 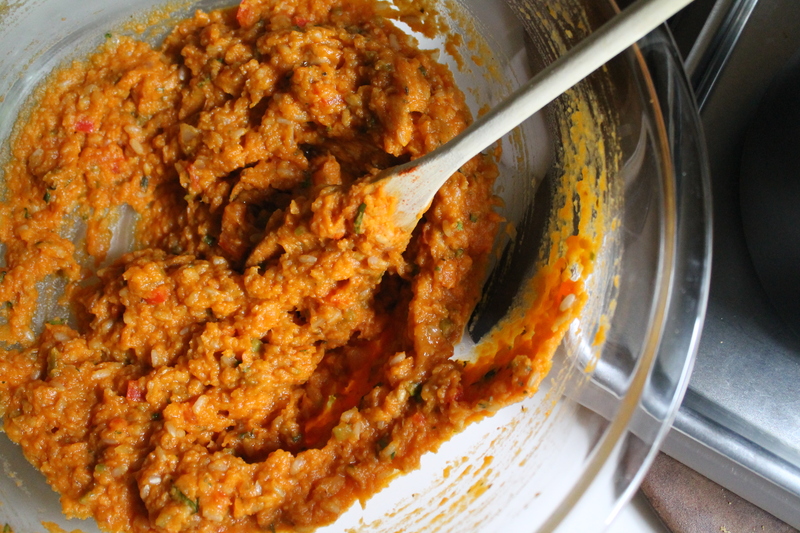 There should be about 1½ cups mashed sweet potato. In a large bowl, mix together the sweet potato, cooked veggies, rice, chipotle, spices, and Tabasco. Taste the mixture and adjust the spices as needed. Stir in the breadcrumbs and egg. Carefully shape the sweet potato mixture into 4 large patties and set them on a sheet of parchment. Chill until firm, about 1 hour. Heat the remaining 1 tbsp. oil in a large non-stick skillet over medium-high heat. Remove the patties from the fridge. Using a spatula, carefully place two at a time in the hot pan, reshaping a little if necessary. Cook, completely undisturbed, for about 5 minutes, until a nice, dark crust forms. Flip and repeat, again being careful not to disturb them, for another 4–5 minutes. Repeat with the remaining patties, adding more olive oil if needed. While the patties cook, toast the buns and prepare the toppings. To serve, place the patties on a bun with lots of garlic aioli, avocado slices, and greens.